Size does matter after all! Today’s topic is a loose-fit shirt for women. Usually, women tend to choose skin tight and slim-fit clothes, but the latest trends show us something controversial. Women go for baggy T-shirts, slouchy coats, cocoon dresses, oversized sweaters, and loose-fit shirts. Oversize fashion is stepping up to the next level this season, so you better be ready for trying on something comfortable and functional. Believe me, a loose fit shirt can also look just as chic as the slim-fit design, all you need is to wear it the right way. 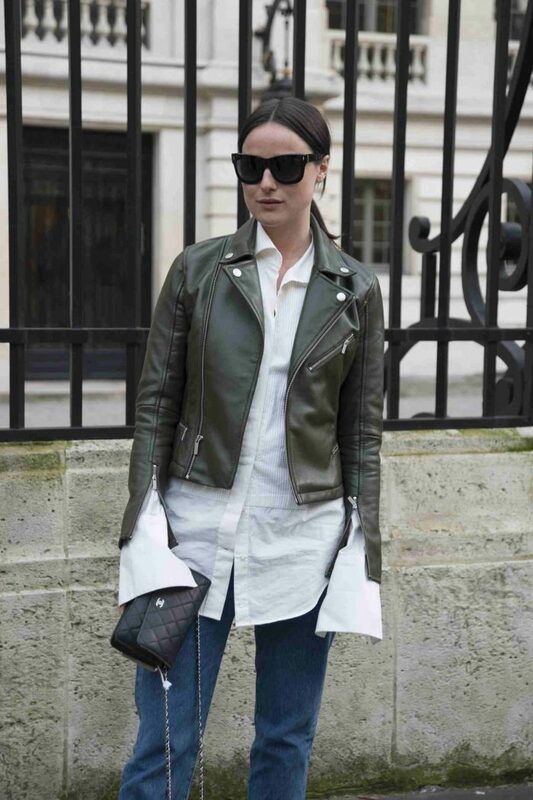 So, why don’t you sit back and enjoy the street style of oversized shirts for women? Oversized fashion is breaking all possible style rules and we see the real beauty of this trend. The key is to make a stand-out look, creating a fabulous mix with tomboy and feminine touches. 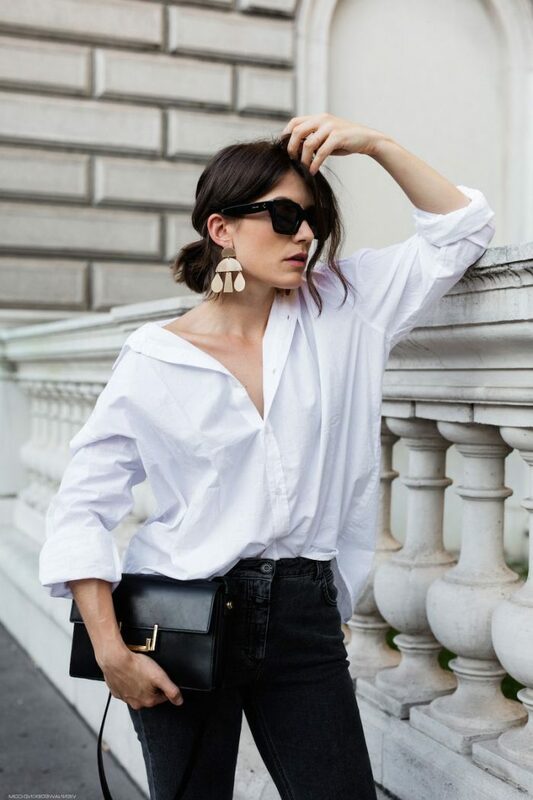 There are lots of other ways how to make supersize look stylish, but the best way to begin your experiments with oversized fashion is to start with a loose-fit shirt. As your top is going to be bulky, then you should stick to one rule, when the top is oversized, your bottoms should be slim, it can be tights, fitted trousers, pencil skirt or skinny jeans. No balloon skirts and flared palazzo trousers are allowed. 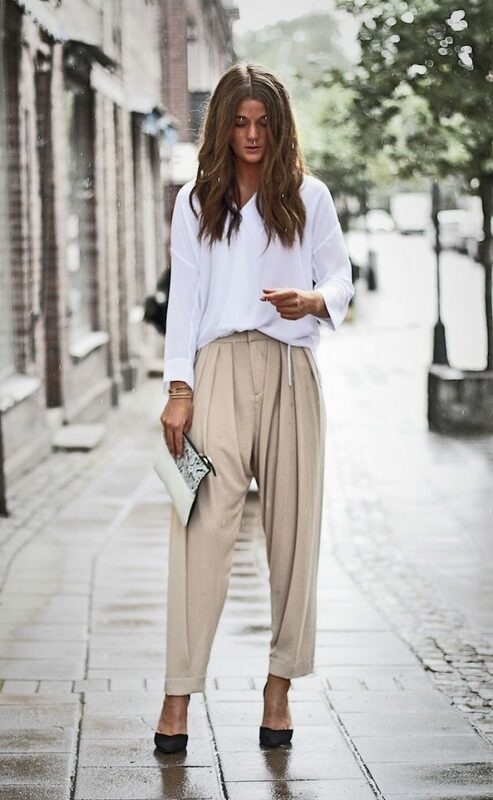 If you are afraid of wearing oversized shirts, you can add a little shape for a start: accessorize with a belt, tucking the shirt in your bottoms, tying a sweater or jacket around the waist to create a slimmer look. My personal advice: do not add lots of accessories. Less is more. Better keep accessories and jewelry to the minimum. I love loose-fit shirts, just because they make me stand out from the crowd. In other words saying, this is a big opportunity for ladies who want to look unique.